Soft Flex Wire - - Soft Flex Speeder Beader. Top » Beading Supply » Beading Wire » Soft Flex Wire Satin Silver » Soft Flex Speeder Beader. 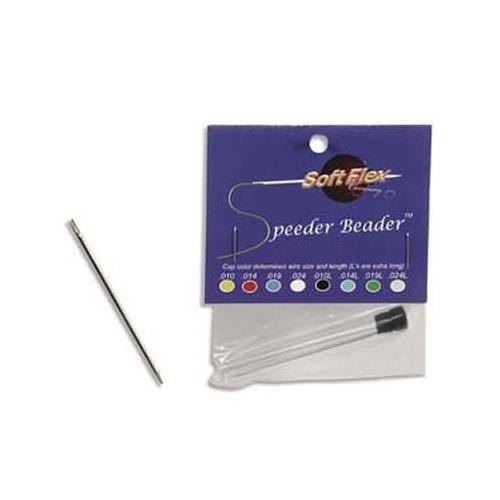 The Speeder Beader needle makes threading hollow beads simple and fast Since hollow beads have no channel,there is nothing to guide the wire out of the bead and the wire often curls inside.Soft Flex Speeder Beaders will make stringing these beads quick and painless.